Type your Gateway tracking number below, get live delivery information with our express tracking system. 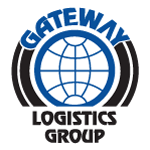 The Gateway Logistics Group provides logistics and freight forwarding services to manufacturing, construction, medical and oil related companies. Products include “turn key” logistics services, purchasing, export, import, and customs clearance services. Shipping services include air, ocean, charter, expediting, receiving, checking, and export packing services. If you have problem with our express tracking system, please track your package directly on the Gateway website. If you get no tracking information from Gateway official website, you’d better contact them. Have no idea about Gateway? Read Gateway reviews in advance and write a review after sending your package with Gateway. If you have problem with our Gateway Tracking system, submit your problem here, we will help you as soon as possible. Declare: We can NOT contact carrier or others on your behalf, we can only help you track your package with your Gateway tracking number on official tracking system.